It’s remarkable how much and how little has changed with RepRap since I built a Mendel in late 2010. The basic architecture has proven incredibly robust. 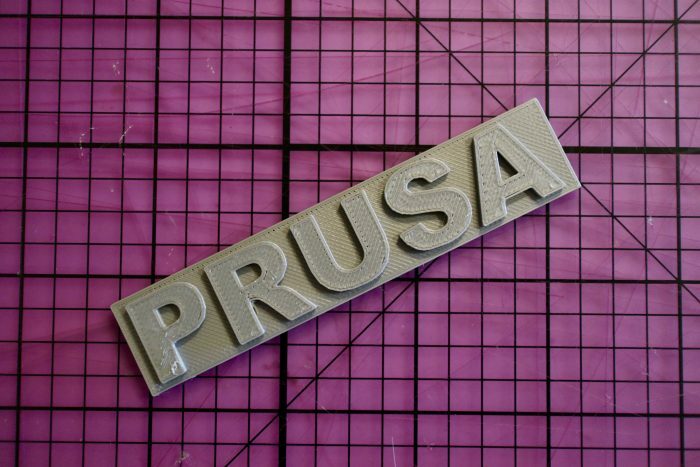 The most popular home 3D printers including the Prusa i3 MK3 that I bought still use an open frame with a moving bed on a belt for Y, moving extruder on a belt for X, dual driven lead screws for Z, gear driven filament into a hot end with a heat break and heat block, a 0.4mm nozzle, and an ATmega2560 for control. I suspect if I dug into the firmware, I’d even find some source in common between the Prusa firmware on the MK3 and Sprinter firmware I used on the Mendel. That may sound like criticism, but I actually mean it as praise. Over the last 8 years, there have been hundreds of diverging and converging iterations on the Mendel formula enabled by its open source nature, with each fixing flaws and adding improvements over the last. It took me about two months of research to get the right parts and another two months of building and tuning to get my old Mendel to print anything at all, and it took a stack of hacks and modifications of mechanical design, circuitry, firmware, and host software that meant I was probably the only person who could speak the incantations required to operate the thing. 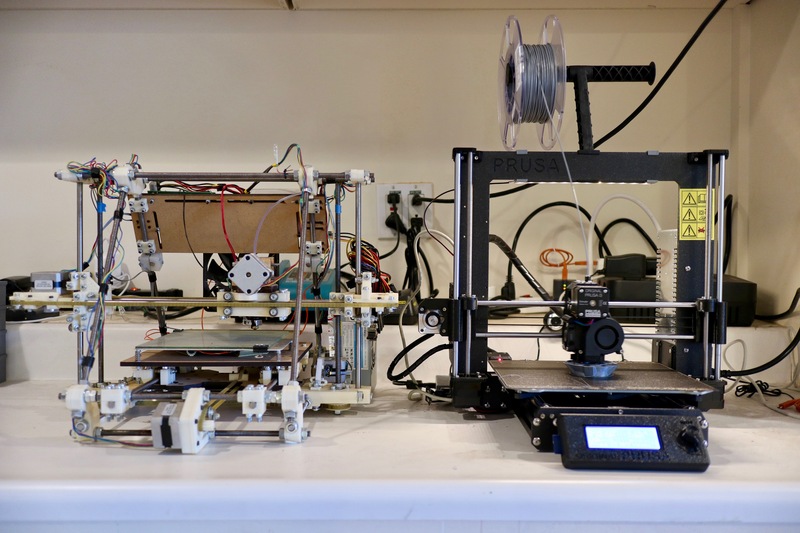 With the MK3, it took 4-5 hours of assembly (by choice; you can order it pre-assembled) and absolutely no configuration to get to a perfect first print, and there are thousands of people with the same configuration. The printer isn’t perfect, but again open source comes to the rescue. 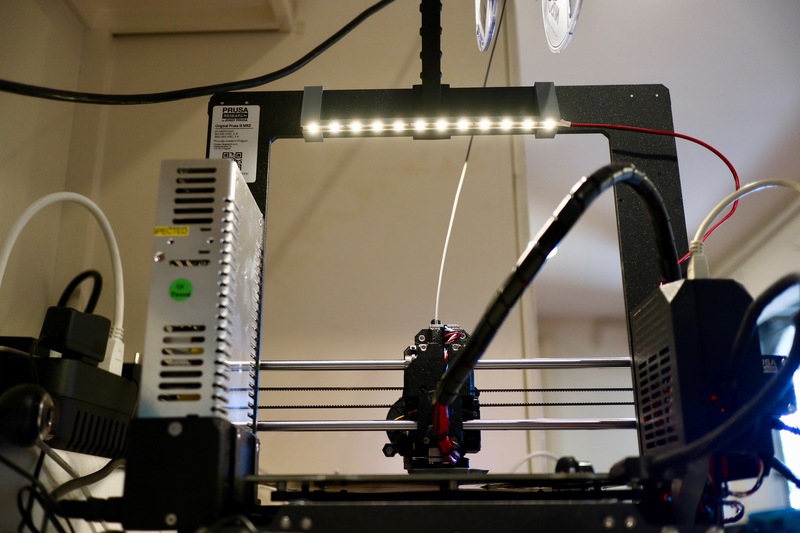 I had taken a few months hiatus using a Monoprice Mini Delta 3D Printer, and while it was a nice tool, it had a range of bugs and irritating flaws that were challenging or impossible to correct. With the Prusa, I found that I needed a light to provide illumination for the webcam attached to the OctoPrint Raspberry Pi driving it. I was able to pull up the schematic and rig up an LED strip trivially. I’ve posted up the CAD and instructions on Thingiverse so anyone else with an MK3 or derived printer can do it too!